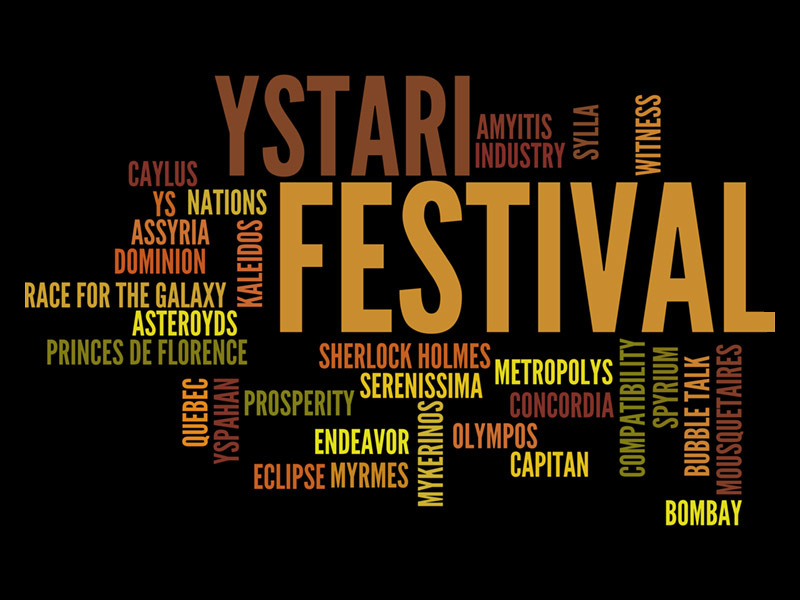 Like every year, Ystari will attend the great international fair in Essen, Germany. The fair will take place in October, from the 21st to the 24th. You can find us in Hall 12. Specifically, Milady (with her bodyguard) moves secretly on one of the boards and raises events by playing cards. For example, she attempts to kidnap the young Constance who is on the board representing Paris. The musketeers can then perform several actions, playing in the order of their choice on the boards: they may move, draw, exchange and play cards to solve challenges, but also face fighters with the dice, including Milady’s terrible bodyguard when a musketeer is on the same board as the schemer. Our heroes can also be equipped to become more efficient, D’Artagnan may even learn a second secret maneuver that affects his dice rolls to make him a formidable duelist. 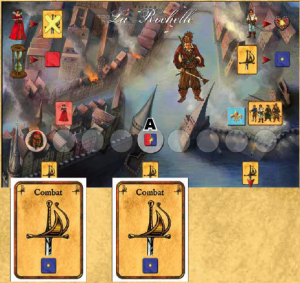 To win the game, the musketeers must return the Queen’s jewels (4 successive boards) without neglecting other emergencies triggered by Milady, in particular the siege of La Rochelle. Reminder: to pre-order your game with all the goodies, click here.